John V. Caffaro, a Distinguished Professor in the CSPP Clinical Psychology Program, had a new book released, Sibling Abuse Trauma, 2nd Edition by Routledge, New York, NY 10017. 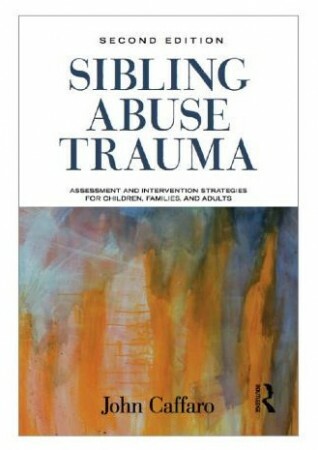 This book describes an integrative, strengths-based approach to individual and family psychotherapy guided by the effects of abuse trauma on the development of sibling relationships.The second edition has been revised and updated to reflect more than a decade of advances in the child maltreatment field. Rather than choosing to concentrate solely on sibling sexual abuse or assault, the book applies a more inclusive, integrative approach to the study of sibling maltreatment. The second edition, much like the first, focuses primarily on assessment and treatment; its success is linked to its utility for clinicians who treat children, families, and adults exposed to sibling trauma. Concrete illustrations and extended session transcripts demonstrate therapeutic principles in action. John V. Caffaro, Ph.D. currently serves as Distinguished Professor at the California School of Professional Psychology – Los Angeles. He also holds an appointment as Assistant Clinical Professor in the Child Psychiatry Residency Training Program at the University of California, San Diego School of Medicine. He draws on more than 20 years of private practice experience with trauma treatment and currently divides his time between psychotherapy, teaching, writing, and professional training.